We at TCRC are always scouring the internet for interesting material on the origins of the regional cinemas of South India. And the internet never ceases to surprise us. Recently, we chanced upon CinemaofMalayalam.net, a website that had a separate page on JC Daniel, the man who wrote, directed and produced the first ever Malayalam feature film. The movie, titled “Vigathakumaran,” was a silent film and was released in November 1928. In fact, the Kerala state government’s award for lifetime achievement in Malayalam cinema is called the JC Daniel Award, recognizing his efforts in starting up what is today one of India’s most interesting film industries. Interestingly, Daniel was a dentist who showed keen interest in martial arts. He is said to have been an expert at Kalarippayattu and is reported to have written a book about Indian martial arts in English before he ventured into cinema. Given below is a Malayalam documentary on the life of the director JC Daniel. 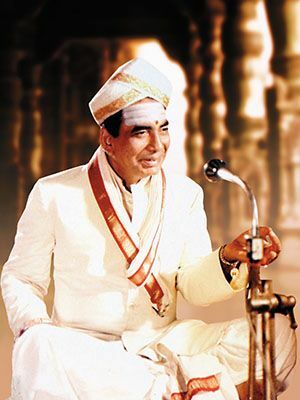 There has also been quite a bit of controversy over when “Vigathakumaran” was released. 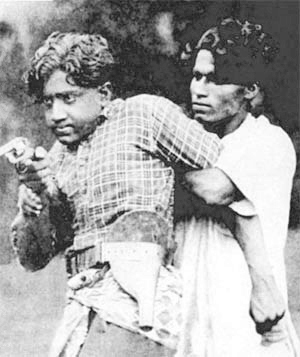 While many acknowledge it to be 1928 (including those such as noted Malayalam film journalist Chelangatt Gopalakrishnan and Yves Thoraval, author of “The Cinemas of India”), a photocopied version of a handbill announcing the release of “Vigathakumaran” in 1930 by producers Travancore National Pictures has been circulating on the internet of late, an artifact whose source is yet to be confirmed. Blogger CineMatters has written a detailed post about the 1928 v/s 1930 controversy here for the blog Old Malayalam Cinema. However, there is no dispute over the fact that “Vigathakumaran” by JC Daniel was the first ever Malayalam feature film. TCRC has, in its archives, memorabilia from various Malayalam films that have been released over the years. Seeing this page on JC Daniel compelled us to revisit some of the old material and we’re working on the digitization of the same. So, do revisit the TCRC blog for updates.